I’ve posted about the fine folks at Juniper Books in the past, they produce exquisite heirloom book collections that are just the best. 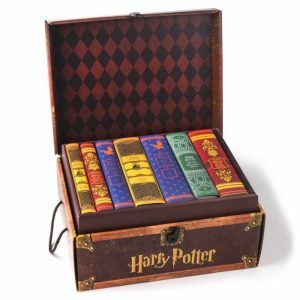 In particular, they offer quite an assortment of Harry Potter series complete sets, and they are the perfect addition to your collection or the perfect gift for that certain someone. See all the Harry Potter Collections available from Juniper here. See all the other awesome heirloom-quality book sets from Juniper here. Lost Cowboy is powered by	WordPress 5.0.4 and delivered to you in 1.864 seconds using 48 queries.